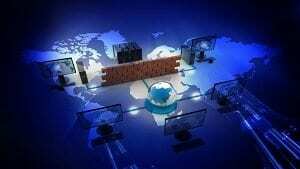 Is a firewall still necessary nowadays? Yes – of course it is! Who told you it’s not? Most people have heard about the firewall as a protection mechanism for their PCs. But almost the same amount of people don’t go out looking for more info on the subject, which is why so many people are ultimately poorly informed and easy to fool by someone with a little more hands on knowledge on the subject matter. Update your knowledge now, people! A firewall is “a network security system designed to prevent unauthorized access to or from a private network while still permitting outward communication”. The first important thing to realize, is that a firewall is actually the first line of defense for your computer. You don’t really want to get rid of the gatekeeper of your computer, right? The second important thing we want to tell you is that a firewall, although vital to the safety of your computer, in itself is not such a strong tool. A firewall works best when it is working together with a strong antivirus program. Why? Because the firewall is a fairly rigid tool, while the antivirus software is constantly updated in order to offer defensive methods against new trojans, malware, and other sorts of computer viruses. In general, a firewall is set up to protect a user against unauthenticated interactive logins from outside the network or standalone PC. This type of blocking makes sure no unwanted guests have the option to login to your PCor network. That is the basic functionality, and the most fundamental part of the firewall dynamic. A little more sophisticated setup blocks incoming traffic, but allows users on the inside to communicate a little more freely with the outside. Firewall under attack: What to do? Not many PCs are active on the digital highway today that do not have a firewall as a first layer of security. But, there are more than enough people who think having an active firewall saves them from additional work regarding the safety of their devices. Well, we have news for you: a firewall is not enough! Your computer, just like any other standalone PC or network that is connected to the internet, is at risk of being attacked. What kind of attacks? This does not have a simple answer. Attacks like these can take many forms – mostly depending on the attacker’s skills and motivation to make the attack successful. Some malware diverts a portion of your hardware and bandwidth to go off by itself. It may use these resources to host pirated software, for example. Other programs are designed to delete crucial data or bring down your network. This way, criminals can potentially access your network and use your credit cards. Much the same way, competitors can get access to your private info and gain a crucial advantage. There are abundant reasons to adopt a multi-layered approach to PC security. The fact is that firewalls don’t catch all they need to catch. A firewall works in a simple way, by blocking certain access points (ports). Hackers will find a way around these ‘roadblocks’. A firewalls also can’t guarantee to block phishing attempts, or stop you from accidentally installing something you shouldn’t (malware). Cyber threats are still very real in 2017 – many companies and individual users are plagued by them. The firewall continues to do good work, but it is not enough. Another problem with the firewall is that it needs to be configured. Even if you do set things up correctly, there are security threats that are likely to pass the firewall. We already mentioned phishing attacks, but there are more types that are likely to pass the firewall: attacks on weak passwords, SQL injection and cross-site scripting (techniques for attempting a distributed denial-of-service attack) and, vulnerabilities in the firewall itself. Don’t take the risk of running your computer with just a firewall as a security measure. Too much is at stake – people’s whole lives’ are documented and saved on their PCs. Don’t act when the damage is already done – make sure to find a good antivirus software pack so we can start using the PC with more confidence of it being a secure machine. To learn more about the best antivirus software available, and compare top brands, check out Top 5 Antivirus Software. Leave your questions in the comments below!